On February 22nd, Chairman of the Hanoi People’s Committee Nguyen Duc Chung received Irish Ambassador to Vietnam Cait Moran. 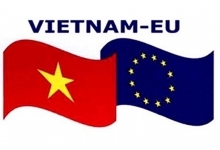 At the meeting, the Hanoi leader noted that his city wants to cooperate with the European nation in various spheres, including education and urban landscaping. At the reception, sharing new developments of Hanoi, including urban landscaping, Hanoi Chairman Nguyen Duc Chung said the city is carrying out a project to plant one million trees, and more than 220,000 trees were grown in 2016. The Chairman hoped for stronger cooperation with Irish companies in urban landscaping, more specifically building green buildings. 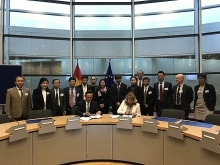 Chairman Nguyen Duc Chung also spoke highly of Ireland’s education. He said he hopes the Ambassador will be a bridge linking her country’s universities with colleges in Hanoi, especially in teaching English. He pledged the best possible conditions for Irish citizens to teach, adding that he hopes universities in Ireland will boost training cooperation with high schools in Vietnam’s capital, helping local students obtain international certificates to pursue overseas studies. 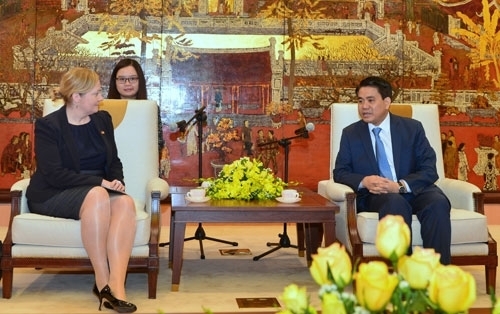 For her part, Irish Ambassador Cait Moran said in addition to existing education-training projects, Ireland is willing to work with Hanoi in other spheres such as planting trees, developing organic vegetable farming, and promoting tourism. Also at the meeting, the Irish Ambassador announced intentions to organise activities marking the Irish National Day in Hanoi this March. This is expected to open an opportunity for both sides to enhance bilateral cultural exchanges.